This section provides guidance how to establish serial connection between ESP32 and PC. Connect the ESP32 board to the PC using the USB cable. If device driver does not install automatically, identify USB to serial converter chip on your ESP32 board (or external converter dongle), search for drivers in internet and install them. The drivers above are primarily for reference. 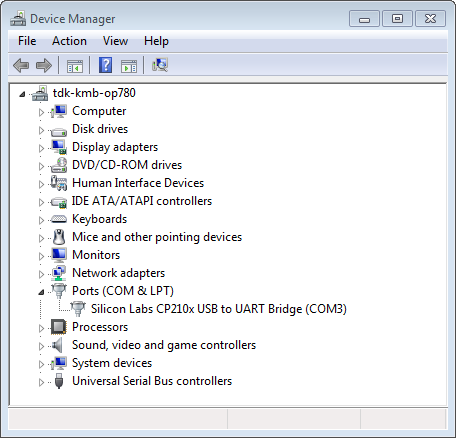 Under normal circumstances, the drivers should be bundled with and operating system and automatically installed upon connecting one of the listed boards to the PC. Check the list of identified COM ports in the Windows Device Manager. Disconnect ESP32 and connect it back, to verify which port disappears from the list and then shows back again. Make sure you re-login to enable read and write permissions for the serial port. Now verify that the serial connection is operational. You can do this using a serial terminal program. In this example we will use PuTTY SSH Client that is available for both Windows and Linux. You can use other serial program and set communication parameters like below. Run terminal, set identified serial port, baud rate = 115200, data bits = 8, stop bits = 1, and parity = N. Below are example screen shots of setting the port and such transmission parameters (in short described as 115200-8-1-N) on Windows and Linux. 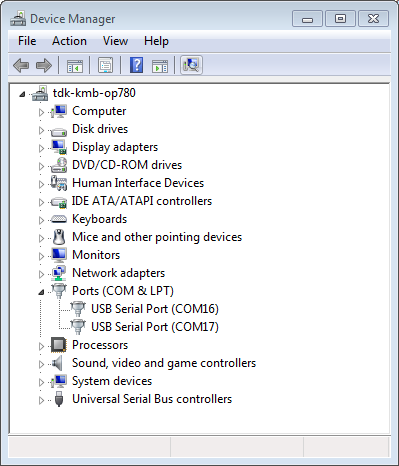 Remember to select exactly the same serial port you have identified in steps above. Then open serial port in terminal and check, if you see any log printed out by ESP32. The log contents will depend on application loaded to ESP32. An example log by ESP32 is shown below. If you see some legible log, it means serial connection is working and you are ready to proceed with installation and finally upload of application to ESP32. For some serial port wiring configurations, the serial RTS & DTR pins need to be disabled in the terminal program before the ESP32 will boot and produce serial output. This depends on the hardware itself, most development boards (including all Espressif boards) do not have this issue. The issue is present if RTS & DTR are wired directly to the EN & GPIO0 pins. See the esptool documentation for more details. Close serial terminal after verification that communication is working. In next step we are going to use another application to upload ESP32. This application will not be able to access serial port while it is open in terminal. If you got here from section Connect when installing s/w for ESP32 development, then go back to section Configure.